Can you see the horse head embedded in this nebula? Try looking at the top right corner of the photo. 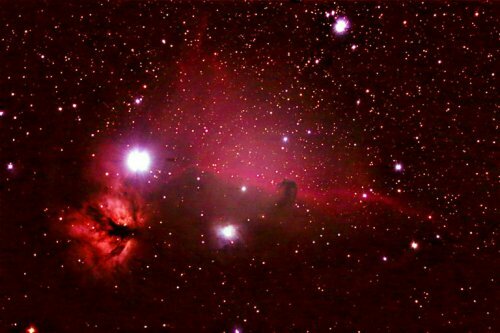 Now can you see the shadow of a horse head (like the knight in chess) lurking among the red colour nebula? This nebula is very hard to see. You will need a very big telesope to see it. However, it is not too hard to capture it on film.